Whoever said diamonds are a girls best friend obviously wasn’t pregnant at the time! Don’t get me wrong, I love diamonds just as much as the next girl, however for the past 7.5 months water really has been my best friend. During pregnancy I have been making an effort to take each day as it comes and listen to my body. I made it my goal to remain fit and healthy, without putting too much pressure on myself. After trying many different prenatal workouts, it was clear that the two best options for me were Aquastrength and simply going for a walk. I try to ensure and do a walk every day, and aim to get to the pool at least 3 times a week to carry out the Hydrorevolution Prenatal Workout program. If it is raining, then I go for a walk up and down the pool instead of along the beach! 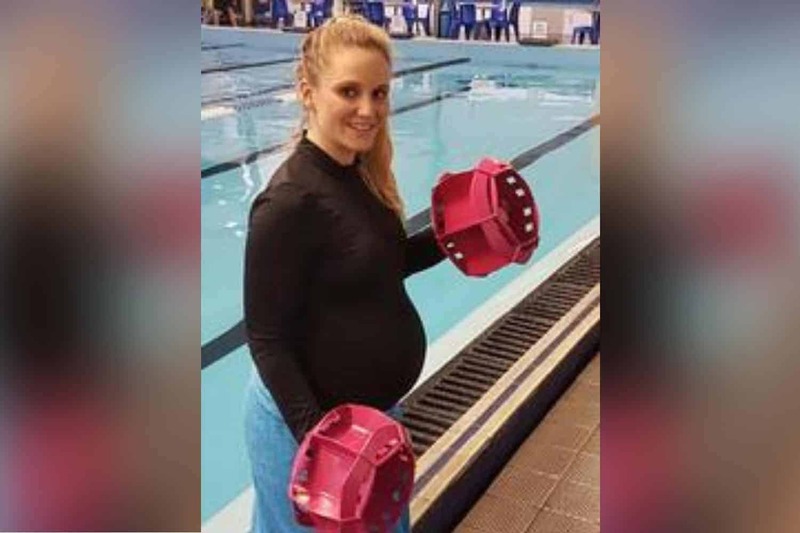 I found that once I hit the halfway mark in pregnancy, I just didn’t feel comfortable doing some of the land based exercises I used to include in my training, so it seemed an obvious choice to take all my training to the pool. Light & Comfortable: No matter how heavy or uncomfortable I am feeling when I head to the pool, I always breathe a sigh of relief once I am in the water. 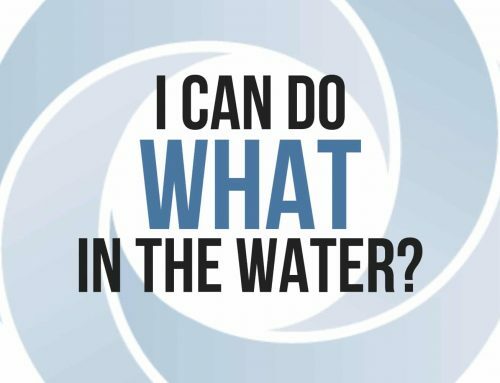 As I perform my workout chest deep in water, I only weigh 30% of my total body weight, meaning I feel light, comfortable and my movements are not restricted. 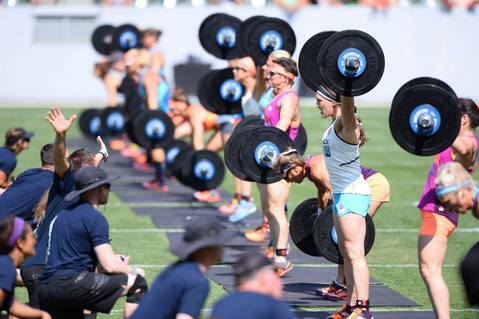 Safe form of Resistance Training: As a former CrossFit enthusiast, it is great to know that I can still get a fantastic strength based worked in a safe environment. The water is 500 – 800 times more supportive than air, but up to 15 times more resistant, therefore I know I am getting effective resistance training, without the harmful impact. I really enjoy all the exercises in the prenatal program and love that there are progressions and regressions for each movement so I can tailor the intensity to suit how I am feeling on the day. 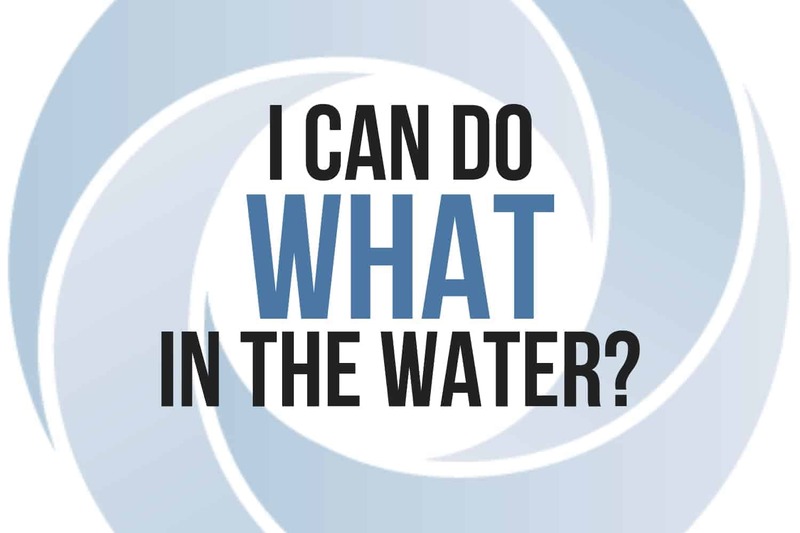 Maintainable: Because the water doesn’t leave me feeling sore or tight the next day, I always feel up to my next workout. This means no excuses – making getting to the pool 3 times a week very achievable! No swelling, aches or pains: So far, I am lucky enough to say that I haven’t suffered from any severe aches, pains or swelling (touch wood!) I put this down to the benefits of hydrostatic pressure which has been shown to help reduce swelling just as effectively as certain drugs. So whether you are an expecting Mother, or planning for a baby anytime soon, I couldn’t recommend this program enough. Give it a go – you won’t regret it! 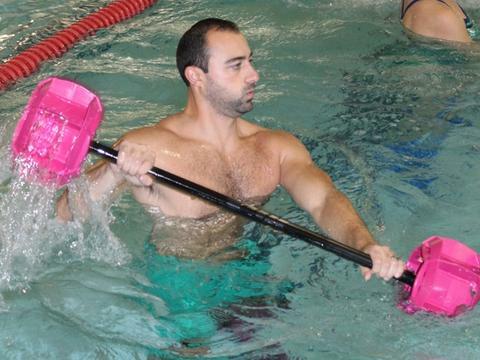 About: HYDROREVOLUTION is a new training hub for Aquatic resistance equipment brands AQUALOGIX and AQUASTRENGTH. 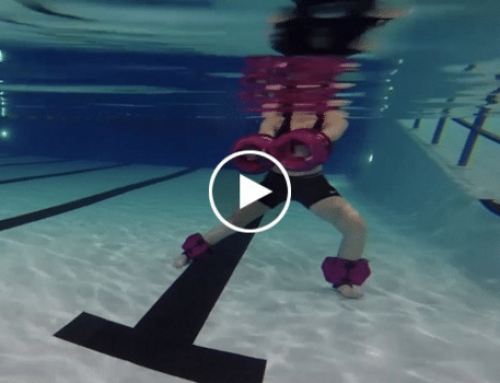 They are changing the way people workout in the water by offering a wide range of downloadable training programs that can be used by people of all ages and fitness levels for anything from rehab right through to HIIT and sports performance.